Last week the inaugural column in this “Armor of Virtue” series aimed to awake the knight within us awaiting formation and to be sent forth on a saving mission. It presented a shield forged in the first theological virtue of faith. It was designed to serve as a first line of defense, to be held particularly in the hands of providing husbands and protecting fathers, as we all weather series of strong social storms raging today against marriages and families. 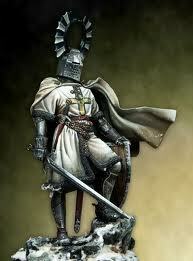 The next piece of gear proposed for modern knights is a helmet honed in hope, the second theological virtue. Three features distinguish hope of the Christian kind – a trifecta for triumph, if you will. First, it is made from some of the strongest spiritual materials known to humanity. The Catechism of the Catholic Church teaches that ultimate human happiness is eternal life found in the kingdom of heaven. The only way for one to meet that objective fully is to place total trust in the promises of Christ, “relying not on our own strength, but on the help of the grace of the Holy Spirit” (1817). Authentic hope, in other words, mines God-given graces which have descended into our soul. It draws what works from the same place we find our deepest aspirations. So, to start making a helmet out of such tough stuff, we just need to dare go there. Prayer plays a critical part, too, particularly the Our Father, or Lord’s Prayer, which is “the summary of everything that hope leads us to desire” (1820). Third, and as Paul Thigpen suggests in the Manual for Spiritual Warfare, salvific hope is “essential for protecting the mind … against the temptation to despair” (p. 58). Immortal hope is an antidote to mortal hopelessness. That may seem too simple for some to say, yet Thigpen says it anyway for two very good reasons. First, sinking our thinking to the low of no hope “open(s) our minds wide to all the thoughts the Enemy seeks to plant there” (p. 58). Second, and equally destructive, a sense of hopelessness could end our very will to fight over time (pp. 58-59). Such remorseful resignation, it seems to me, is one of the easiest temptations to succumb to today. Most faithful and faith-filled men see themselves as suppliers, safeguards and problem solvers for the ones they love. They look to fix whatever needs fixing, in their own daily routine, around the house and, if asked, in the world. They work long hours to do it, longer if that is what it will take. But what happens when a husband or father doesn’t believe he has all that he needs to get the job done? A man laid off from work comes to mind. Society tells him that the sum of his worth is solely within the wealth terms of the world. But when he’s underemployed or unemployed, senses of uncertainty and insecurity can come quickly to serve as the sum of his fears. He finds his hands empty when he looks down and his heart hurting when he gazes inside. All is lost, he thinks, in the days, months, perhaps even years ahead. He wants to give up. The knight who wears well the helmet of hope, however, sees and acts differently. He desires, trusts and awaits the graces to merit eternal life (cf. CCC, 1843). He bets it all on what St. Paul revealed about Christian hope in his Letter to the Romans – it doesn’t disappoint (cf. 5:5). And, taking his twin roles as provider and protector seriously, he changes the world for the better, starting with his own marriage, family, and the community in which he is called to communicate the Good News of the Gospel.